I hear it time after time, “but I don’t have time for breakfast” there is no time, I only have coffee, I’m always rushing after the kids. 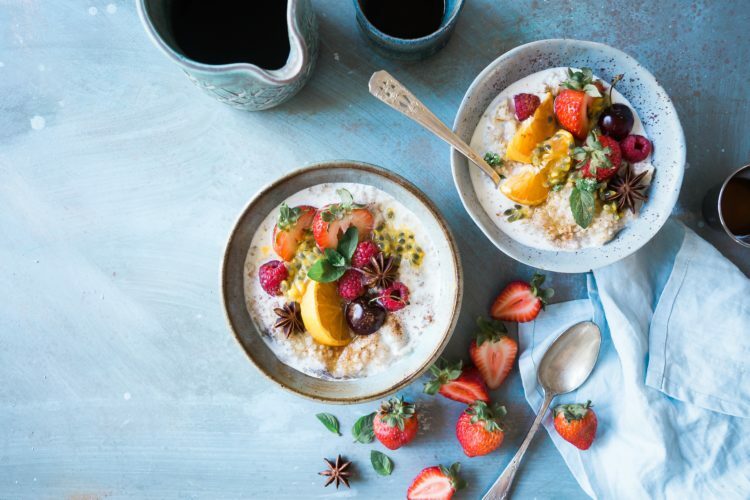 Due to some pretty amazing marketing, we have the perception that breakfasts need to be from a box however they can be quick, easy and packed full of wholefood goodness without ever seeing the inside of a box. Breakfasts set us up for the day ahead, it fuels us, gives us energy and curbs sugar cravings. There is the saying ‘Eat breakfast like a king, lunch like a queen and dinner like a pauper’ this is a brilliant saying and so simple. Our body needs the energy from food to get us through the day, however, we often have our biggest meal right before bed – where it sits all night. Protein: Protein is our building blocks for wellness. Protein is essential to balancing blood glucose levels, energy, sugar cravings as well as hormone metabolism. Good Fats: again this is one that we need for hormone metabolism but it also keeps us full and gives us energy. Avocado, nuts and seeds, hemp oil, linseed oil .. they are also simple additions to most recipes and pack a nutritional punch. Veggies: We all know how I love my veggies, adding them into your breakfast routine is a simple way to boost your intake and enjoy the benefits. All of the following suggestions take minutes to make, you can pack them up and take them with you to work or enjoy them on the bus ride in. Some can be made in advance and double the amounts to have the next day if it is a real favourite. The start of the week, the start of a new routine and you have the benefit of Sunday to get things organised ready for the week. MEAL: 2 boiled eggs with sauteed greens, 1/4 avocado sprinkled with hemp seeds. It can be a tricky one to wake up to, but your breakfast takes two minutes. MEAL: peanut butter + cashew + espresso smoothie. 1 frozen banana, 1 tablespoon pea protein (optional), a small handful of cashews, 1 shot of coffee, LSA, almond milk. blended and enjoyed. In the flow of the week now, you are half way there and doing great. You are almost at the end! MEAL: chia seed pudding made the night before. 2 tablespoons chia seeds soaked in 1 cup of cashew milk – Add cinnamon, pumpkin seeds, frozen berries and 1 tablespoon yoghurt (coconut) set in the fridge the night before. grab from the fridge and enjoy. Deadlines are in, your to-do list is starting to dwindle you are at the finish line.